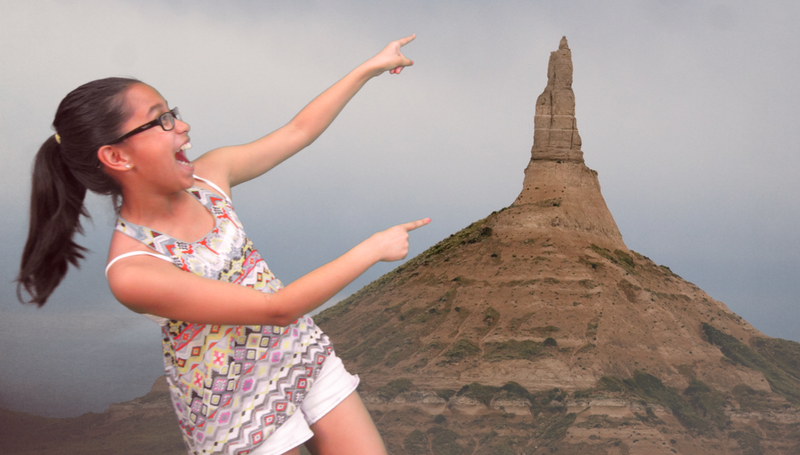 This is me at Chimney Rock! Oh man! The Oregon Trail was a very hard way going on this trail for we had to walk on bumpy roads and watch people die along the way! I still won't forget the family that we left behind those people were good folks. Especially for me Akemi Kataoka and my other fellow doctor Ada Mercado. Many people got sick on the trail and we had to cross many rivers and buy many supplies for the people who got sick they are Matilda Faulk who got a blister then crossed a river then got infected but I amputated the foot and put IV in it what a woo woo! for me, and it is doing well actually she got infected by crossing the Kansas River! But there were other girls who got infected by crossing the river like Platte River where we almost lost our wagons and supplies but we made it, but now they are better but there is beauty on the journey and one fellow member named Alexandrine Haberle who fell in love in Fort Laramie and decided to stay. But poor Iskandar Alatas who got the sickness on the family who left because of their illness and we decided to leave him behind for the sake of our train. Did I also mention Kai Bon who was sharpening knives and accidentally cut his pinkie off! The trail is a hard life of negotiating with salesman selling supplies like buying wagons but there is also "snakes" like snake oil salesman who sell you fake medication and losing valuable and loving members but we had to survived on little food and dealing off with buffalo but now we are in a financial situation but it is hard because my fellow doctor and I have to deal with these things. It has been an adventure from landing on a guy with our UFO and getting his money to losing members and exploring different places like Chimney there is beauty and there is darkness let's just hope for the best! We found bay's and a lot of others. And I learned what a inlet was and there was this lake but it connected to another body of water so it was also called an inlet. We couldn't find any of the small lakes. Like the Arlington Heights Lake Golf Club. Because it was smaller so we couldn't find it on the Illinois map. We found the Chicago river and we didn't find it on the United States map. We could not find it the small river on the maps because it really tiny. There is the Chicago River in Illinois and in Arlington Heights lake Golf Club in Arlington heights. We identified straits, bays, rivers, lakes seas, oceans, and inlets, channels, and sounds. 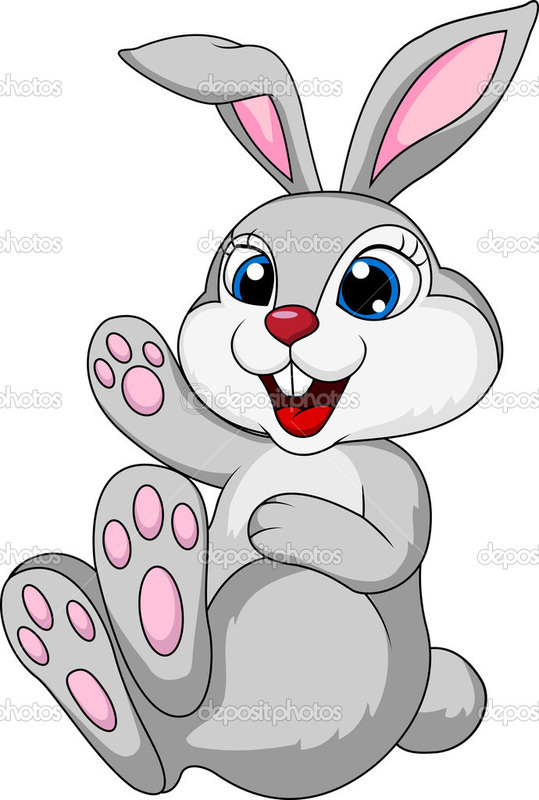 Know Your Words By: Kaela S.
“Oh yes!” Yelled Daisy the bunny rabbit. Today Daisy was going to her friends house Rachel the Raccoon. They were going to play tennis together. Once Daisy made it to Rachel the Raccoon’s house on her bike she knocked on her door and when Rachel opened it she saw that Rachel had a piece of toilet paper on her shoe. “Ha Ha Ha Ha!” yelled Daisy. “You have toilet paper on your shoe, how embarrassing!” Daisy said. “Well it’s not a big deal!” Rachel said. “Uh yeah it is. ha ha ha!”said Daisy. As soon as Daisy said that Rachel ran inside crying. Daisy didn’t know what she did so she just rode away on her bike to her house. Once she made it to her home she saw her mom in the ugliest dress she had ever seen! It was a white blouse with black lines and all the colors mixed in it. “Well what do you mean darling?” said Daisy’s mom. “I said that your blouse looks like mud! said Daisy. “Well I didn’t know that you felt that way!” said Daisy’s mom. Leaving her there, Daisy’s mom stormed out of the kitchen and into her room Daisy was so confused why everybody was leaving but she just decided to forget about it. So then Daisy decided to go to the park and see if she could meet new friends to play with. As soon as she got there she saw this girl duck and she looked really nice so Daisy went over to ask for her name and she said my name is Emma the Duck. So Emma and Daisy decided to take turns going on this huge swirly slide. When Daisy was climbing back up the ladder under Emma she saw Emma’s huge weird feet. “What are those!” Daisy said. “Why these, these are my feet.” Said Emma. “Really because they look like giant mushy sponges on your body! Daisy said. “No they're not they're just like everybody else's!” Emma replied. “Well I think they look real freaky!” Daisy said. Emma gasped with shock and wobbled away down to the lake where she lived. Daisy then returned home crying and moaning why people won’t play with her and why people are so mad at her and storming away. She saw her dad and told her everything that happened and her dad was in shock and asked if she said that and she replied yes! Daisy’s dad then started to take into action he gave a stern talking to Daisy and said that it’s not nice to say these things to people and if you have something not nice to say don’t say anything at all. Daisy thought for a long time about this and she was lonely and she realized what she had done when she had said all of these things. So she called Rachel and apologized and explained what she had done and hoped for forgiveness so they decided to go biking next week! And the next day Daisy saw Emma at the park again and apologized for what she had done and when she did they both started playing again and Emma forgave her. And when she came home Daisy saw that her mom was not speaking to her so after supper she sat alone with her mom and apologized so deeply and it was so real that Daisy’s mom started crying then hugged her and gave her a billion hugs! And when she asked what changed your mind she told her mom about dad’s lecture and said it is always good to think before you speak. 2. Do you think Milo is a good student? Why or why not? 4. Would Milo be someone you'd like to be friends with? Why or why not? 5. Describe a time when you felt grumpy and disinterested like Milo? 1. Milo is a very shy and quiet and polite fellow who lives his life very dull but he is very polite to people but sometimes he's a little curious for the time he went to Chroma and saw the Orchestra he wanted to try it and ended up messing it up but then got it back on track. 2. I think Milo is but mostly he is very quiet but sometimes when he says that he can do this problem and that I can do this too and maybe better but I think he is. 3. I think Milo acts dull, quiet, and shy because I don't think Milo takes risks and that he always doesn't want to play because I think he is sad and depressed but mostly dull and really doesn't want to take risks. 4. Yes, because every person seems nice to be friends with but not just that but I can teach how to take risks and add a lttle color to his life by spending time with him and playing. 5. I felt really grumpy when we lost at the finals and our championship cup and that we tied 1-1 then we did a pk shootout and we lost and that made me fell very bad because I thought that I let the team down. Thump! Ouch! I look to see where I am as I look up all that I see is dark clouds and my buddies coming with me screaming Thump! Ouch Thump! Ouch! All I could hear is my friends freaking out trying to find out where I am I see that I am on some sort of clear side that is stuck onto somewhat to be a square block with people inside. I ask everybody what is going on and one of them yells “we just Precipitated”! What? Everybody yells he said precipitation is when water or rain falls down. How would you know we ask? I remember watching this on some sort of square moving pictures box that explained this! All of a sudden I start moving were moving! were moving! I yelled. All of a sudden I feel like I’m floating! As I look around I see my other buddies laughing and having fun and I ask my friend who said that we were doing Precipitation he now said were accumulating which is called Accumulation. Well I like it! I said as i was floating and moving around. It seems to be that we are in a La -ke a lake! He said. All of a sudden there was this huge push and bam! everything is black. As I wake up i see light oh beautiful light! And all of my friends are cheering too that we see light! Then all of a sudden were moving in the air and sticking next to each other then I hear my friend again say were evaporating which is called Evaporation! Hey Joe! Hey Bob! Then I see Stacy and Nicole plop right next to me and not go away then my professor friend said were a molecule now called H2O. H2O what the heck is that kind of name? And as were all going home we decided to have a party for getting back home! All of a sudden m professor Mr. Smarty pants friend said this was called condensation as I hear the music pumping. As our place is getting crowded we are all falling off Mike! Joe! No! Al of a sudden were all falling again and it’s dark again and my friend yelled out this is call Precipitation. Then after all of this happened I see a black running two legged creature singing and he’s heading straight for me Oh no! He’s sweating! I think that the wood chips won't soak in the water but just let it collect and get bigger on top of it. I think that for the stick the water will do the same thing as the wood chips and that the water will just collect on top of it. I think the leaf will soak in the water when I pour on top of it. I also think that the grass will soak in the water too like it does when it rains. I think that the concrete will soak in the water with the water going in the middle of it. My prediction was wrong and the water did get soaked into the wood chips. My prediction was correct and the water just rolled down the stick dripping. My prediction was wrong for the leaf and since it was dry the water didn't get soaked in. My prediction was correct and the water was soaking into the grass. My prediction was correct and the water did soak into the water and turned darker. I was shocked because I thought that water would usually drip down solids so I was shocked. For the stick I was also not surprised that the water just rolled down the stick. I was shocked for the leaf and I thought that the water would get soaked into the leaf but the leaf was dry. For the grass I wasn't shocked and i knew that water get's soaked into plants. For the rock I wasn't surprised and the water did get soaked in and it got darker. 1. The Wood chips and Leaf because my predictions were wrong. They both turned out that the water rolled off of it. 2. Rubber and Tape (on the sticky side). For the rubber I also think that the water will just roll of of it because of it's materials. And for the tape on the sticky side I think the water will stay on it and keep on collecting on top of it. I got to practice and people gave me advice what to do and say so I would be better. And then I really was having a hard time of what to say. I can mess up here to practice. And when it's for real I will be prepared and not scared. I had practiced a lot so I knew what to say. I felt more comfortable talking in front of people after practicing. I felt more energetic after practicing so people came to mine a lot. People told me to smile and when I did it helped make the person listening feel comfortable so that made me comfortable. 1. I thought that this was valuable because I learned something new that I didn't know. Also I learned to talk in front of people more better and not be shy! 2. Some examples are one I started to stutter in the middle. Also I said some words wrong and pronounced them wrong. Sometimes I started to talk a little bit fast. 3. I would explain it all the way. I would also try to make it more fun for the little kids. And I will try to remember to talk slow. And try to say my words slowly so I won't pronounce them wrong. I would have brought something as an real visual that I used in my project too. It was so fun bonding with my buddy! The whole time people who would walk by would always say you two look so much alike! With our glasses and everything! My buddy was so sweet and nice! She talked a lot about our favorite things. And we also played the that's me and that's not me game! She was always smiling and we started drawing our favorite things! My kid was so funny and sweet and when it was over I asked her if she had fun but I was still not sure so then out of nowhere she came up to me and came up to me and hugged me and gave me a super big squeeze, right then and there I knew that she had an awesome super duper time! Maybe next time I should do differently that when we meet Mrs, Arce's class I should talk more and try to be funny and try to be cool too!